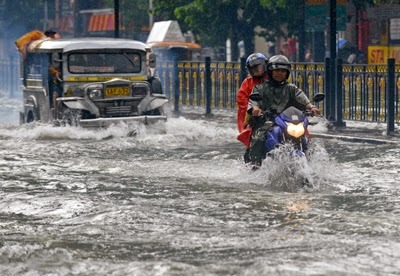 According to the IPCC, climate change will contribute to coastal flooding. This may be so, but it's certainly not the main cause. In many of the world's coastal megacities, flooding is the result of the still ongoing land subsidence, not the sea level rise. Why didn't IPCC mention this in their latest report on impacts? · surface drainage for urban development, leading to oxidation of peat and compaction of top soils. 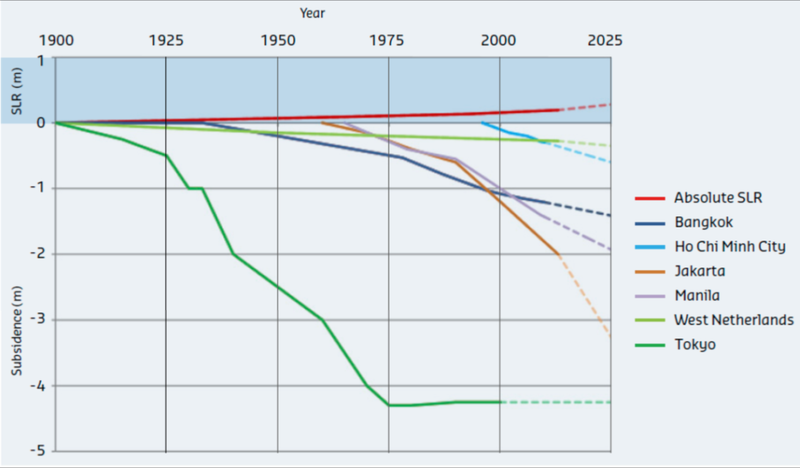 Other factors are the winning of oil, natural gas and coal, and postglacial effects. Subsidence occurs in most of world's coastal megacities that usually are situated on thick clayey delta deposits. Examples of such 'sinking cities' are: Jakarta, Shanghai, Bangkok, Tianjin, New Orleans, Tokyo, Taipei, Manila, Dhaka, Semarang, etc. 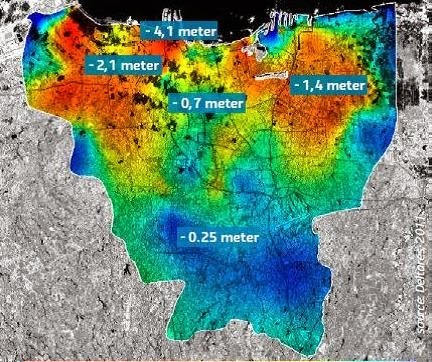 In some cases, cities have sunk by more than five meters during the last century. But that's not all: the process is still going on, at rates up to 100-200 mm/year. Compare that to the present sea level rise of only 3 mm/year! city sinks at a rate of 150-250 mm/year. Moreover, the risk of urban flooding is amplified by the effects of other human interventions in the upstream catchment. The economic damage and other risks - e.g. loss of lives - from land subsidence will increase rapidly due to population growth, urbanisation and economic development. It's evident that these problems call for local strategies and measures. Without such actions, mitigation efforts to curb the sea level rise is like mopping the floor with the tap wide open.